Let’s face it. Asking for tips can be awkward. Sure you can put a jar with a quirky sign on your countertop and wait to hear those coins drop. But as cashless payments become more and more popular, tipping is often overlooked completely. But it doesn’t have to be this way. Now there’s an easy way to integrate tipping into your credit card or mobile payment transactions — even if you don’t have to turn the screen toward the customer to request a signature. With credit card transactions on Square Stand or the original Square Reader, customers swipe their credit cards and then add a tip as they confirm the total amount and sign the screen. With the new Square Reader for contactless and chip ($59), just select “contactless” at the charge screen to initiate a tap payment. Then, your customer is prompted to select a tip amount before tapping their debit card or mobile device. Because it places the tipping process before the tap, this new payment option can also help you avoid some of the awkwardness. Seller Andrew McWilliam from the Vernon-based Ratio Coffee has been explaining the new system to customers by saying, “All you need to do is authorize the amount on the screen and then when the light goes on you’re able to tap.” He has found this approach less awkward than asking for a signature and tip. 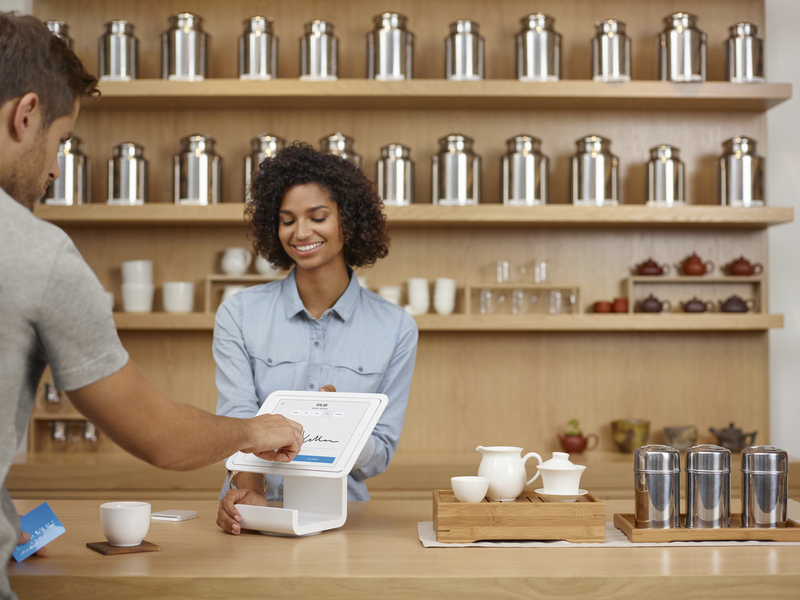 Learn more about the new Square Reader for contactless and chip.